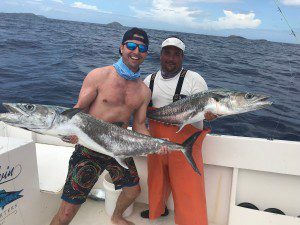 The travel season here in the US Virgin Islands may be slowing down, but the summer bite is just starting to heat up! 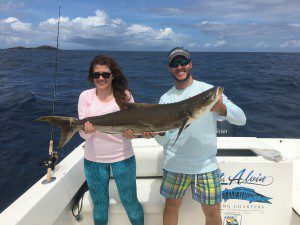 So far the inshore fishing has been the best bet for guests looking for multiple hook ups throughout the day. The Offshore scene is becoming more consistent and as we get later into the summer, the Yellowfin and Blackfin Tuna bite should heat up along the North Drop as we get into July. 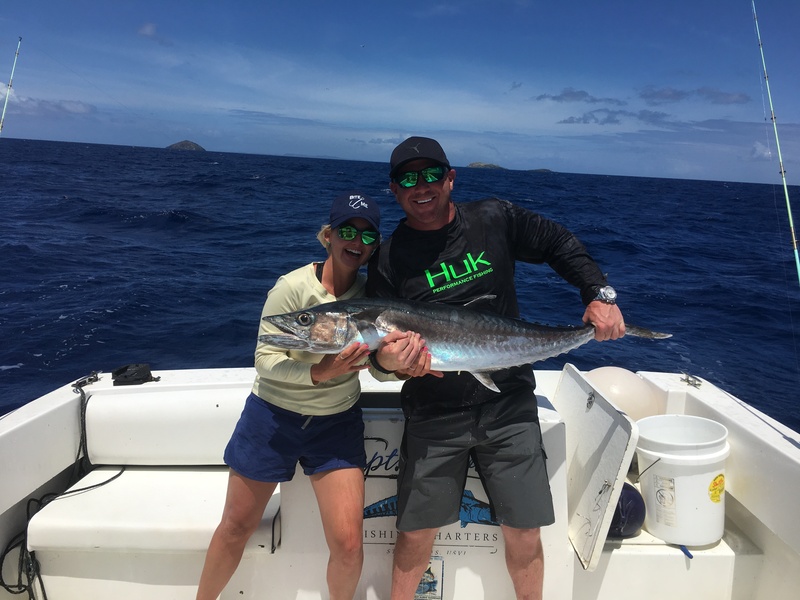 The Mahi-Mahi migration started to wind down in mid-June but we were able to capitalize on some late schools passing through along the South Drop and points between St. Thomas and St. Croix. Most were in the 20-30lb class however compared to last spring/early summer the bite was below average on most days. 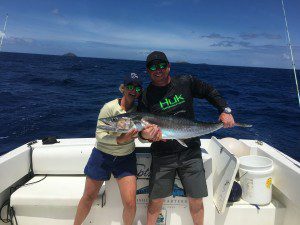 The Yellowfin Tuna, Sailfish and Blue Marlin migration along the North Drop will be our focus as we enter the mid summer months. We experienced a phenomenal inshore bite in May & June featuring Yellowtail Snappers, Barracudas, Kingfish, Spanish Mackerel, Tarpon, and even the rare Cobia! 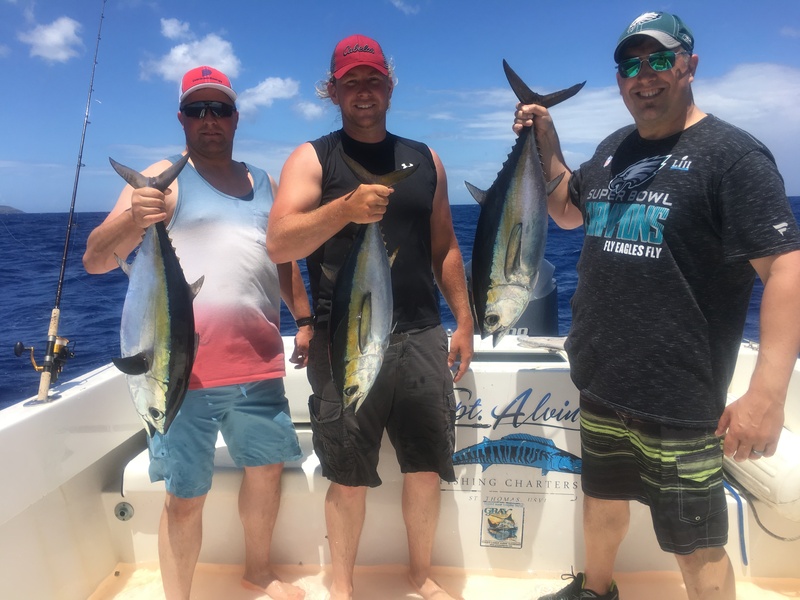 The Blackfin Tuna bite has been the highlight however, with multiple fish in the 20-30lb class being the norm on our inshore trips as of late. It has been a superb couple months inshore so we are hoping the bite keeps up! We’re very excited for the rest of the summer season and hope you’ll get out on the water with us if you’re planning a visit to St. Thomas or St. John!